WordCamp Zagreb 2017 is behind me. Event I have been working on for over 6 months is now officially over — read about my experiences from the event. Our first meeting was at the end of last year. 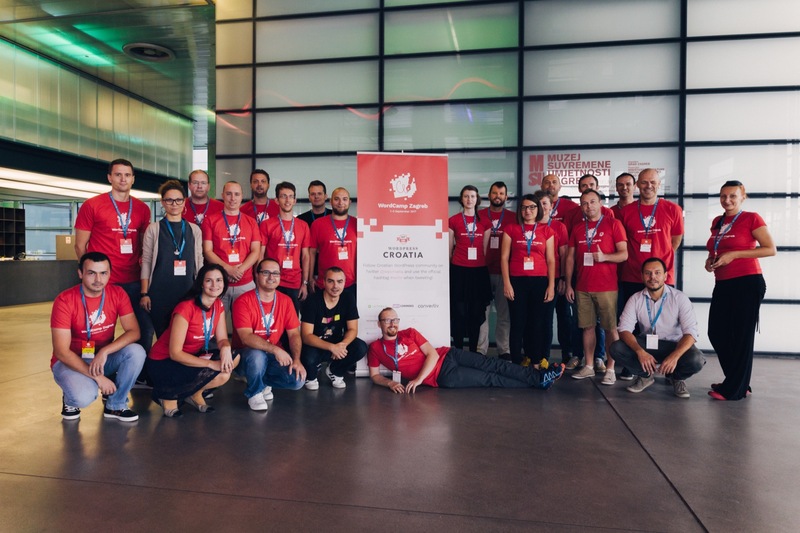 We know it takes a lot of time to plan for everything and being the third WordCamp in Croatia, and this time in capital — we knew we had to fill certain expectations. And we started strong. We opened a call for organisers on our Facebook group, and had a meeting where 10 people showed up where we brainstormed some ideas. Soon after that invited everyone to Slack and had a video call. We discussed things like number of attendees we could expect and if we are going to aim for one or two tracks. In the following weeks, I have started to prepare our WordCamp application on WordCamp Central and in parallel our team collected some quotes for the catering, possible venue ideas etc. Chocolate Factory Or A Museum? We split our volunteer organisers into teams (speakers, logistics, sponsors etc.) and approached the daunting task list of organising the conference. Krešimir was handling the venue communication, Nikola was handling the catering, Emanuel was handling speakers, Dario was covering PR (and we got some nice coverage too), while I was handling the sponsors and the budget. Month before the event we brought Marija on board to take care of all our volunteers on the days of the event which turned out great. We also got a lot of help from Frane, Jurica, Igor, Andrej, Stjepan, Tomislav, Ivan and others in the team, who helped before and during the event of keeping everything in check — being a sponsor, volunteer, organiser, content editor, MC etc. We soon decided to seriously pursue two venue options. One was Kraš and the other one was Museum of Contemporary Arts. Both venues were great, and could accommodate two tracks easily but we ended up going to the Museum option, since it was closer to the city center and we had the option to organise the after–party there. Not to mention, it’s a museum — it had a certain openness and inviting feel to it, which we think is important in our WordPress community — people really liked that. Most of the technical preparations with the venue were done the week before, and on Thursday afternoon before the event. We did some scouting, possible sponsor locations, catering positioning etc. The idea was to create a space that would be inviting to people moving between tracks to stay and chat with our dear sponsors who made this possible. The venue being a museum brings certain unexpected restrictions to the table but our team managed to tackle every challenge and solve it with the help of the museum staff. During the event, people asked me how I felt. Whether I was happy with everything and congratulating me on the good work, since they had a really good experience so far. I was thrilled to hear that, but too tired to process it on a deeper level since I had other things on mind. Being to a lot of conferences myself, I know how important can be to keep to the talks on time, especially if you have two tracks. One of my top priorities was communicating with our team and jumping in where needed, whether that was keeping tracks in sync, or MC-ing the advanced track while Andrej gets some rest (not sorry for the bad jokes :). Overall, I didn’t have that much to do on the conference day since everything was going as planned and we had a really strong team there, but being a 3 day event (with Workshops and Contributor Day included) I can tell you I was tired on Sunday. The walking tour we did last was really educational, even though I’ve been living in Zagreb for 10 years, but I was operating on autopilot at that point. I’ll share some stats in the official recap post (this one is a more personal one) but I think we did pretty decent job. Getting 400 people on the event, 20+ speakers, 12 workshops (both English and Croatian), kids playground and workshops during the conference and making sure everything works together is no easy task, but our team did it. 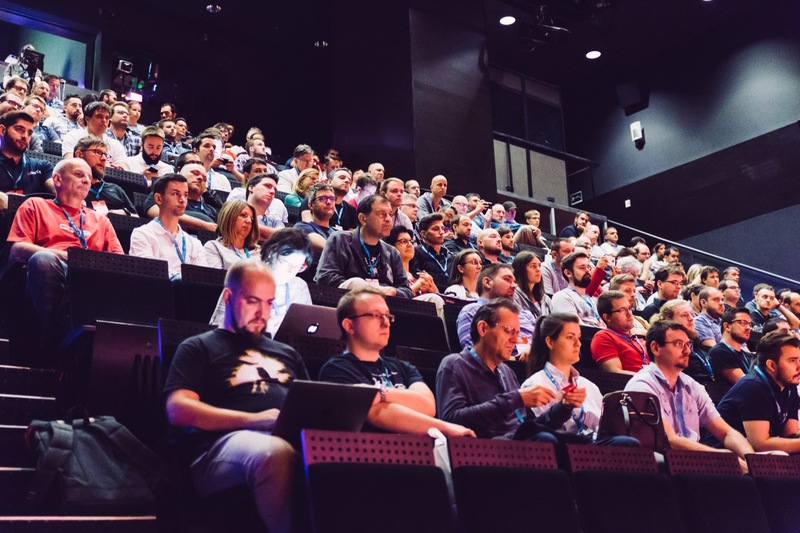 We made another WordCamp in Croatia a reality — and grown our community a little more. The thing about organising events is that everything builds up following that big day. Emotion, frustration, happiness, tiredness… after working on something for 6 months, you just want it to be over. The week before the event was crazy, I literally didn’t get any work done unless it was related to the WordCamp. I expected that so I managed to plan my schedule around that but it was still exhausting. After everything is (almost) finished, I can say that I was happy and proud to be a part of this story. 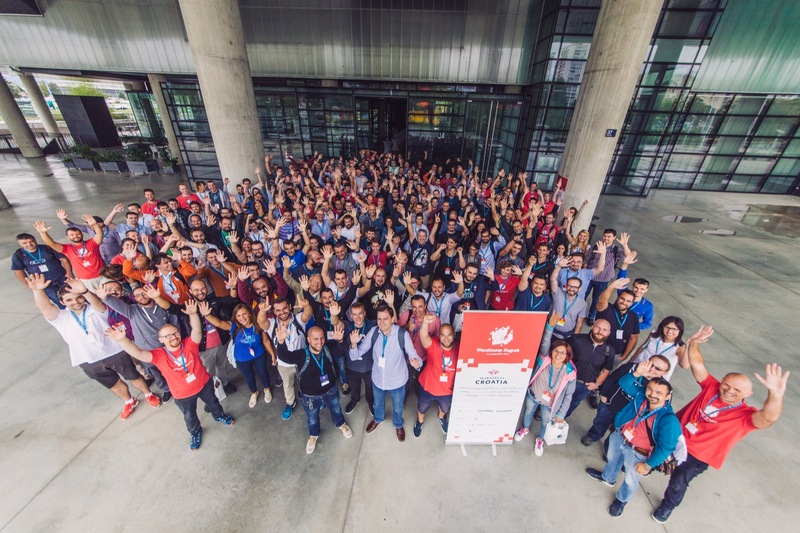 But not because it was the biggest or most elaborate WordCamp in Croatia or anything like that — but because we managed to get new people on board in hopes that they will enrich this community in the same way that ours was enriched when we visited the first WordCamp Europe in 2013. Organising conferences is a fulfilling experience. One where you will learn more than you could have hoped for. It’s also one crazy roller coaster ride: talking to sponsors, speakers, fellow organisers and volunteers, taking care of food requirements, logistical challenges and in general dealing with money and people — it’s not always easy. WordCamps are community conferences. I can’t stress this enough. Everything is built on the shoulders of volunteers and the community. Every little bit, from T-shirt design to making sure that registrations go smoothly. We try hard to make everything work, make everyone feel welcome and to organise an enjoyable experience for all of you. But it’s not always enjoyable, things go wrong. Things we can’t plan for. That’s why we need you, the community, to jump in. We need your help. If you want to see more conferences and meetups — help us organise one in your city. If you feel certain talk topics are missing — apply to speak. Speaking at meetups is a good start. Are you afraid to speak, don’t know how to organise something? You can contribute in other ways. Help the meetup organisers, volunteer, start translating, answer support tickets… there are plenty of things to do — don’t wait for someone else to ask you, be proactive, speak out. This post has gotten longer that I thought it would 🙂 But if you came to the end of it, thank you for reading. 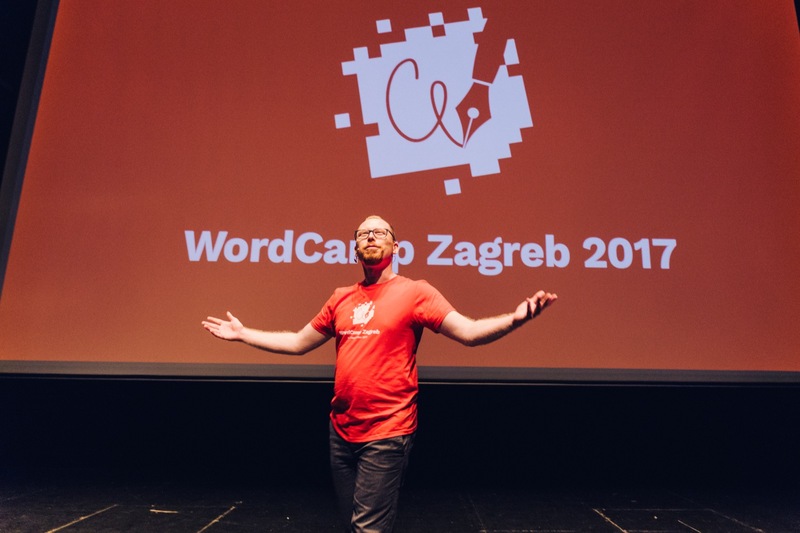 It has been a pleasure organising WordCamp Zagreb this year, and I’m hoping to see many more of them to come, perhaps in the different city. On a personal note, I’ll be stepping down from the organising team of our next WordCamp. This year I’m leading the design team for WordCamp Europe 2018 and I’ll have my hands full. I’ll be here for our community as always, by offering advice and experience I’ve collected so far, but I’m sure someone else will pick up where I left off and organise the next great WordCamp in Croatia.